New Mexico drunk driving laws already call for severe consequences for driving while intoxicated (DWI). The City of Albuquerque can make matters worse through vehicle seizures. 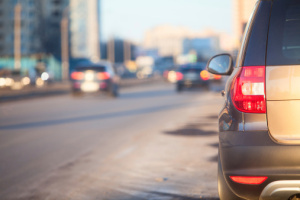 If your vehicle has been subject to seizure or has been taken because someone else driving it was arrested for DWI, you need aggressive legal help from the attorneys at the Mark Keller Law Office. If your car is subject to vehicle seizure, the City of Albuquerque will file a suit to declare the vehicle a nuisance. If the suit is successful, the title of your vehicle will be given to the City, which will sell it at auction. You have the right to fight back against unfair DWI consequences like vehicle seizure. Call (505) 842-1440 or click here to schedule a free consultation with an experienced DWI defense lawyer. The constitutionality of vehicle seizure and forfeiture has long been debated. It is certainly unfair if a vehicle seizure interferes with your ability to maintain employment or attend school or if you are an innocent owner of the vehicle seized. You can fight back against vehicle seizure to prevent the forfeiture of your car by filing for a hearing with the City of Albuquerque. An experienced DUI defense in Albuquerque can assist you by filing the necessary request and representing you at the hearing. They can also represent you in District Court if a lawsuit is filed. The attorneys at the Law Office of Mark Keller have extensive experience with the administrative processes involved in DWI consequences and will help ensure that you do not waive your rights to hearings or petitions simply because you did not know your options. For a free consultation to learn more about your options in fighting vehicle seizure and other DWI consequences, contact us.